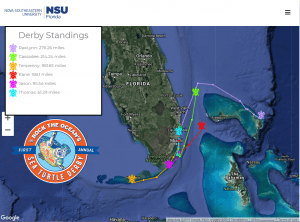 FORT LAUDERDALE/DAVIE, Fla. – And, they’re off! This unique sea turtle “race” features six sea turtles named for some of the artists performing at this year’s Tortuga Music Festival. To see which artists have turtles in the derby, visit the tracking website at TortugaMusicFestival.com/seaturtlederby.